Although a lot of information has now been written on the subject of Magento, with its complex array of menus, drop down options, and various settings, there is still a lot of confusion when it comes to correctly optimising the platform for search engines. Magento is actually known to be one of the most SEO friendly e-commerce platforms available, but even so it comes with a few issues that need to be taken care of. In this brief guide, we are going to assume you are aware of the basics of SEO—quality content, linking etc.—and get down to some of the ways you can take advantage of Magento’s core SEO configurations. Magento is still maturing, and therefore the best advice regarding SEO is to make sure you stay up to date with the latest release. One of the first things you can do to configure Magento is to login to the Admin Panel and go to System > Configuration > Web > Search Engine Optimisation, and enable ‘Server URL rewrites’. And while you are there, take a peek under ‘URL Options’ and ensure the ‘Add Store Code to URLs’ functionality is set to ‘No’. Note: After updating your settings, it is important to reindex the data on your site. To do this, go to System > Index Management, and select all of your data. Then, using the drop down in the top right hand corner of the page, click ‘Reindex Data’. 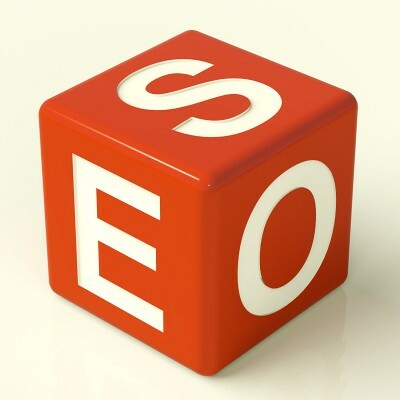 Now, to make sure search engines can find your site and crawl your data, you need to enable your website’s sitemap. You can do this by going to System > Configuration > Google Sitemap and clicking ‘Enable’. A simple step in optimising your site is to force Magento to the www. version—avoiding the non-www. version to appear as a duplicate. Go to System > Configuration > Web, open ‘URL options’, and ‘Search Engine Optimisation’, and set ‘Auto-Redirect to Base URL’ to ‘Yes’. Now users will automatically be redirected to the absolute URL of your site (www. ), and search engines will no longer be confused which is your main URL. Another step you can take in optimising your URL is to set ‘Use Web Server Rewrites’ to ‘Yes’. This will remove the index.php string from your base URL. Head over to System > Configuration > Design > Html Head. Here you will want to personalise your settings, and get rid of any default inputs such as the ‘Magento Commerce’ title. For optimal traffic to your store you should keep in mind that search engines place more weight on words near the beginning of your title tags, for example if you have the keyword ‘Men’s Socks’ near the start of your page title you will rank better for, you guessed it, Men’s Socks. The ‘Title Suffix’ box is a good place to put your brand name as it will be appended on to the end of each Title tag. If your store is live, set your Default Robots to INDEX, FOLLOW. If you store is still in the development stages, set this to NOINDEX, NOFOLLOW for the time being. As far as Google is concerned, meta keywords are now obsolete. Magento will default to product names for your meta keywords, but it is advisable to leave this field blank. For more information about optimising your Titles and Descriptions, visit Moz.com and check out their great Meta Title and Meta Description guides. Once you have taken these initial steps, Magento will be well prepared for GoogleBot and other search engine crawlers to find your site and help you appear in the results pages. To take your SEO to the next level, you can use some of the same principles we have talked about to optimise your categories, CMS pages, product pages, images, and content, and then sit back and watch as your website climbs the rankings.